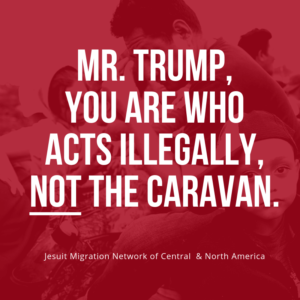 The Jesuit Migration Network of Central America and North America (RJM-CANA in Spanish), responded to President Trump’s November 9 proclamation on asylum, calling it a violation of international law, including violating the Geneva Convention of 1951. 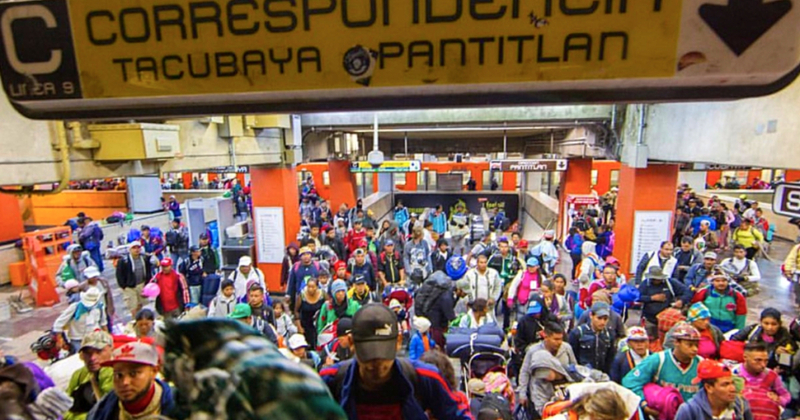 The Jesuit Migration Network of Central America is part of a larger network that serves all of Latin America and the Caribbean, seeking to provide effective, coordinated, and comprehensive assistance to migrants, displaced persons, and refugees from very diverse areas: pastoral, educational, social, research, etc. 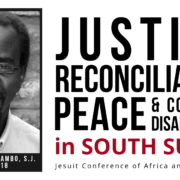 In the United States, participation comes from Jesuit universities, high schools, parishes, and social ministries. 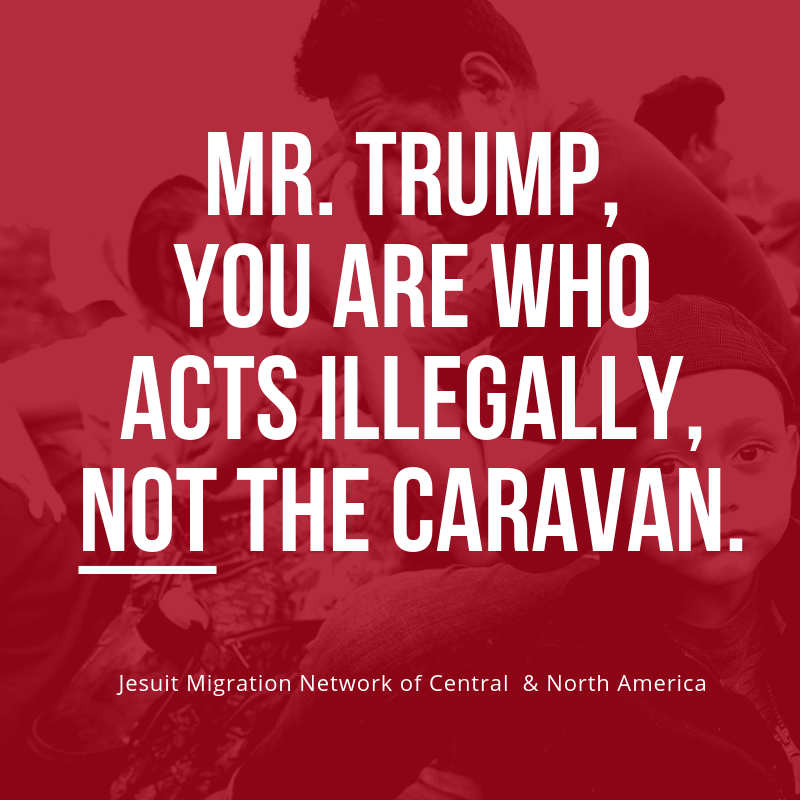 As a member of the continent-wide Jesuit Migration Network of Latin America and Caribbean, comprising 19 countries, the Jesuit Migration Network of Central America and North America repudiates the Presidential Proclamation on massive migration through the southern US border issued today by the White House and signed by President Donald Trump. We consider that this proclamation violates international human rights law, especially the 1951 Geneva Convention on the Status of Refugees. Above all, we wish to warn about the ongoing construction of a discourse that criminalizes migrants while avoiding self-criticism and reflection on the American asylum system. Further, this discourse ignores all responsibility for supporting policies that are at the root of the forced migration of hundreds of thousands of Central American people. Donald Trump’s Proclamation published on November 9, 2018, endorses the order issued by the Attorney General and the Secretary of Homeland Security the previous day, which denies asylum to undocumented persons crossing the U.S. Southern Border at unofficial points (i.e., not designated as ports of entry). This new declaration by Trump, clearly aimed at the Exodus of Hondurans heading towards the U.S., is illegal and violates Article 31 of the Geneva Convention on the Status of Refugees, which establishes that the unauthorized arrival of people in refugee situations to a State shall not be criminalized. According to Trump’s Proclamation, the threatening arrival of aliens with no basis for admission weakens border security and consumes tremendous resources. In response to this, the proclamation advocates for immediate action to protect national security and maintain the effectiveness of the asylum system in the face of the large amount of claims received by the U.S. Trump goes on to assert that many migrants have entered Mexico illegally, some even using violence. However, viewing migrants in this light completely neglects their human rights, especially those of the most vulnerable people, who are also referred to with war language and framed as “the threatening enemy.” More specifically, the proclamation violates Article 33 of the Convention on the Status of Refugees, which expressly states in its second paragraph that a refugee cannot be considered a threat to national security without proper justification. This is a testament to the exceptional character of the rights granted by this convention and the personalized treatment it demands. The President’s own Proclamation acknowledges that in the last years there has been an increase in the number of people claiming asylum at the border, who in effect have a credible fear of returning to their countries. This is in line with the rising violence in Central America and the number of asylum seekers who are heading not only to the U.S. but to other countries as well. However, according to Trump, very few actually obtain asylum and it is the increase of claims that causes the asylum procedure to last for years and consume many public resources. In other words, he is blaming the asylum seekers for the collapse of the system. Would not the real reason be that the U.S. asylum system is not working properly? In addition, Trump admits that most people who have a credible fear of returning to their countries are being deported. This flies in the face of the non-refoulement principle, contemplated by Article 33 of the Geneva Convention: no country shall expel or return a refugee to the frontiers of territories where their life or freedom would be threatened. Trump also states in his Proclamation that those who start an asylum-seeking process based on a credible fear are not in detention centers due to lack of space, which he identifies as problematic, especially for members of family units. Again, this reasoning is dangerous not only because it supports the idea that more budget is needed to expand detention centers, but also because it disregards Article 31 of the Geneva Convention, which clearly establishes that States shall not apply any unnecessary restrictions to the freedom of persons in refugee situations. With all of these more than debatable arguments, Donald Trump justifies the decision to suspend aliens’ access to international protection. This decision specifically targets undocumented migrants arriving from Mexico through unofficial entry points and Trump claims it is based on the protection of the safety of the migrants themselves. In addition to violating the non-refoulement principle, as explained above this order does not take into account the current crisis at the border, which is a result of the regulations and measures adopted by the authorities in the last few months. As a consequence, the official entry ports are plagued with risks and precarious conditions which increase the vulnerability of migrants. Even though the above decision by the U.S. government makes exceptions to provide protection under the Convention against Torture and to offer guarantees to unaccompanied minors, in practice the hardening of the border implies the denial of these rights as well. Another particularly concerning issue is that at various points the Proclamation sets the agenda for negotiations with Mexico to stop the massive flow of people and for Mexico to authorize the deportation of Central American nationals. It also suggests that a “safe third country” should be considered. These issues have caused worry in the Mexican population. The Federal Mexican government should facilitate the application for asylum in Mexico and the process of searching for another possible country of destination, but this should be part of a free and informed choice by the persons in refugee situations. Under no circumstance can we accept an inter-State agreement that establishes Mexico as a safe third country in which people are forced to apply for asylum instead of in the United States. Leaders are human, fragile and mortal. But during their brief pilgrimage they love to render humble service to fellow humans. We need to pray for the well-being and good health of all leaders.